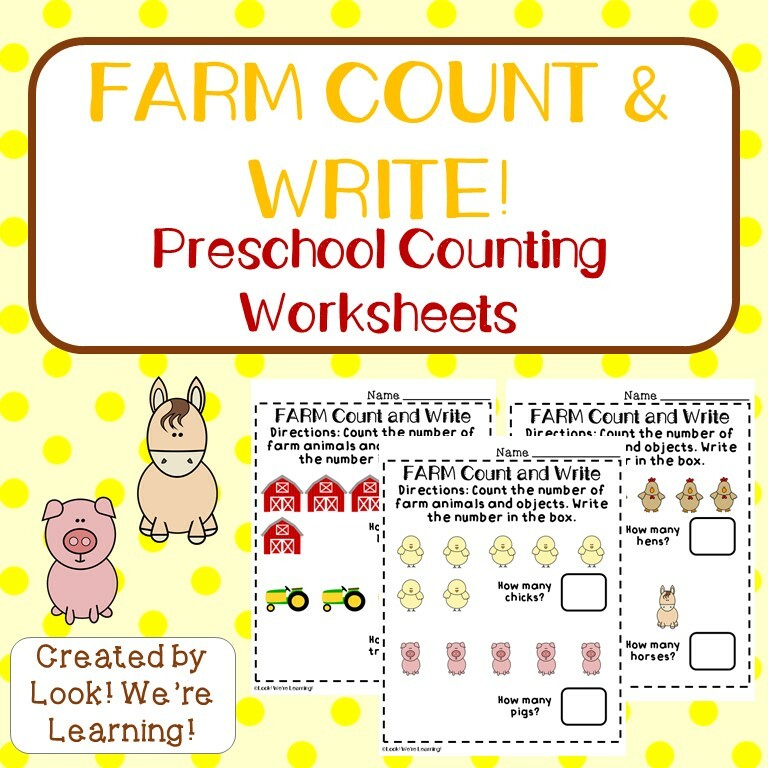 Preschool Worksheets: Fall Counting Worksheets - Look! We're Learning! Farm animals are basically synonymous with fall, aren’t they? When I think of autumn, I picture golden leaves, harvesting, and farms. 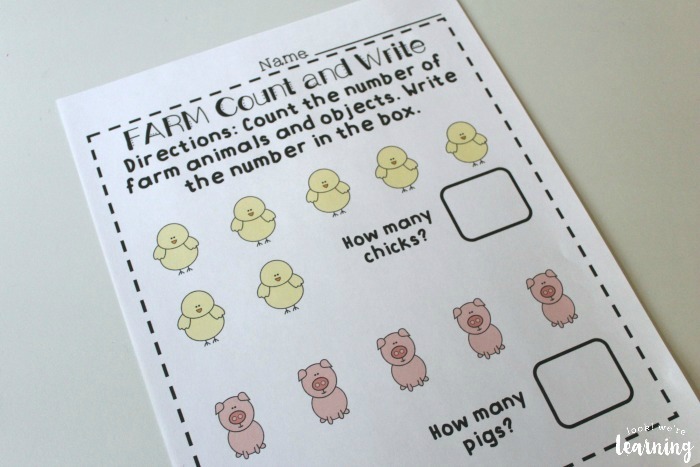 So I thought this would be a neat time to add some more preschool worksheets – a set of farm-themed fall counting worksheets! 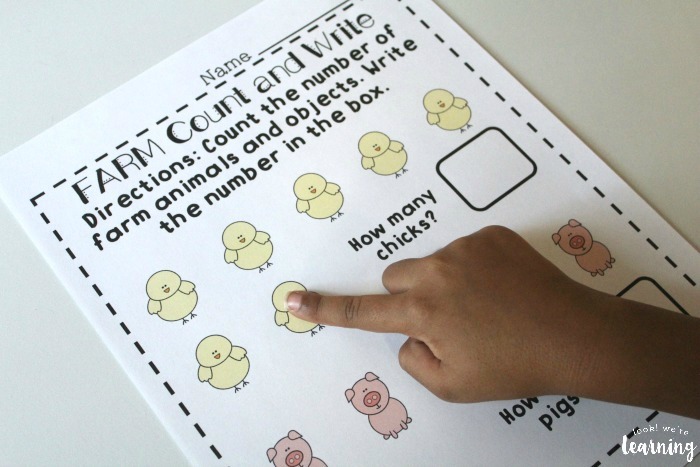 These are so cute for learning to count to ten! 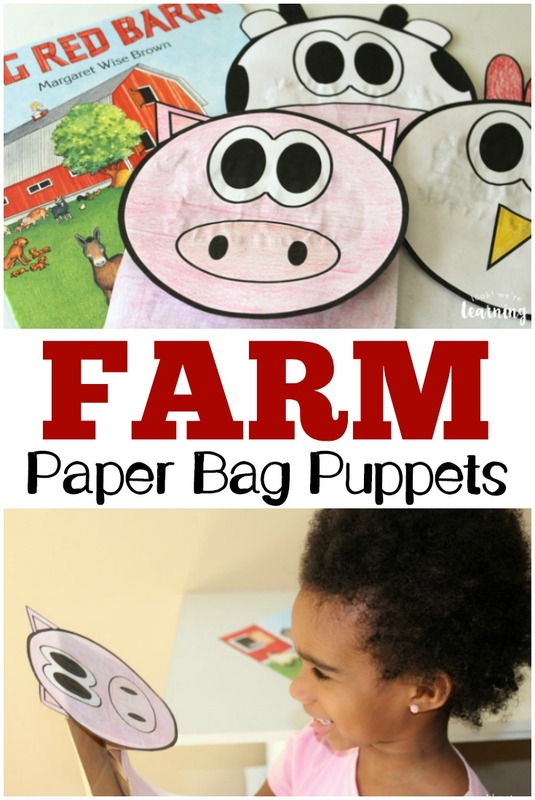 They feature adorable little pigs, chicks, hens, horses, and even farm equipment! 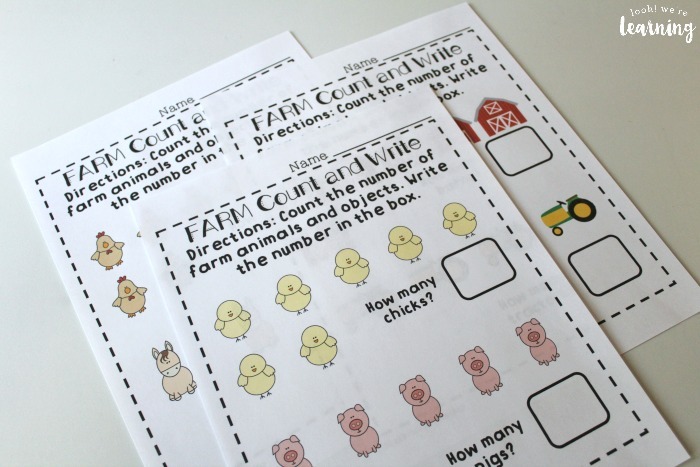 If you’re planning a farm field trip, these would be a perfect way to add a math lesson while getting the kids excited for what they’ll see! 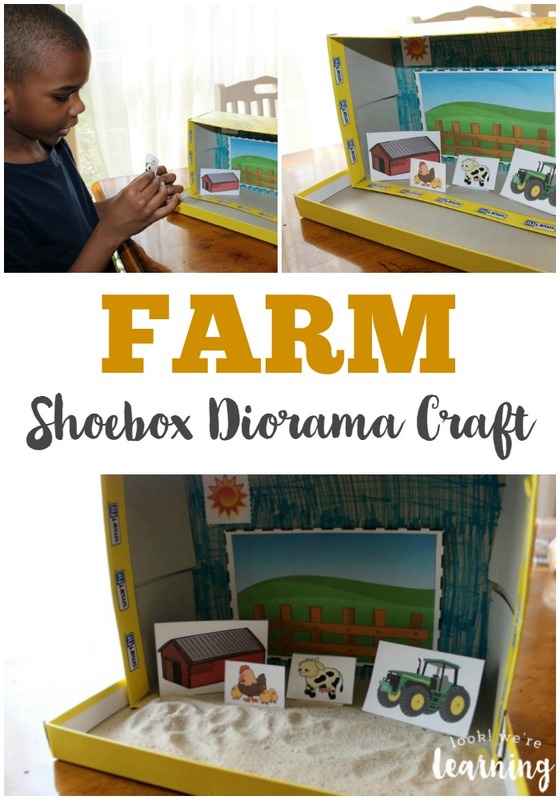 Want to share more farm fun with the kids? 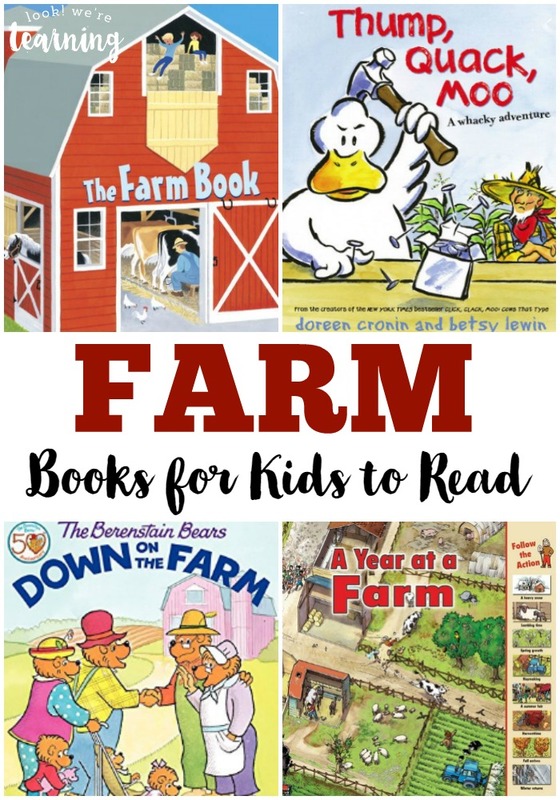 Check out our list of farm books for kids, our Farm Do-A-Dot Shape Mats, and our Farm Animal Flashcards too! Working on counting is always fun with kids. There are so many ways to reinforce this concept. 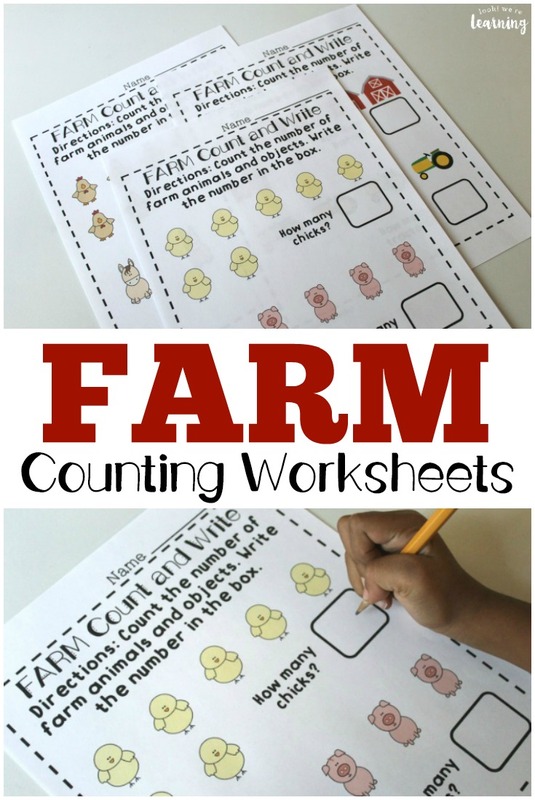 Along with these worksheets, you can use counting bears, Unifix cubes, or even DIY manipulatives, such as buttons, coins, and pom-poms. 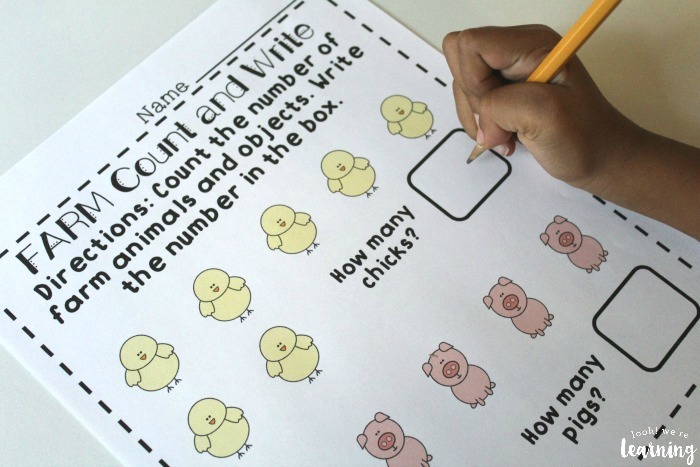 These are simple enough for kids to complete on their own, but directions are provided on each page as well. As kids count the number of each object, they can write the number in the boxes. 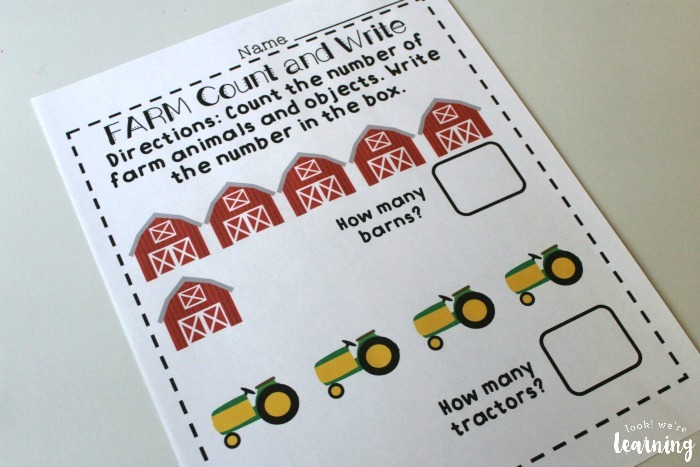 There is a worksheet featuring barns and tractors too – not just farm animals. With our little one, we counted each object. This is a good way to reinforce one-to-one correspondence. Then she wrote the number in the box. This set of worksheets also includes a line art version (if you want to save your color ink) and a full answer key. By the way, if you use the line art version, let the kids color in the farm objects afterward! 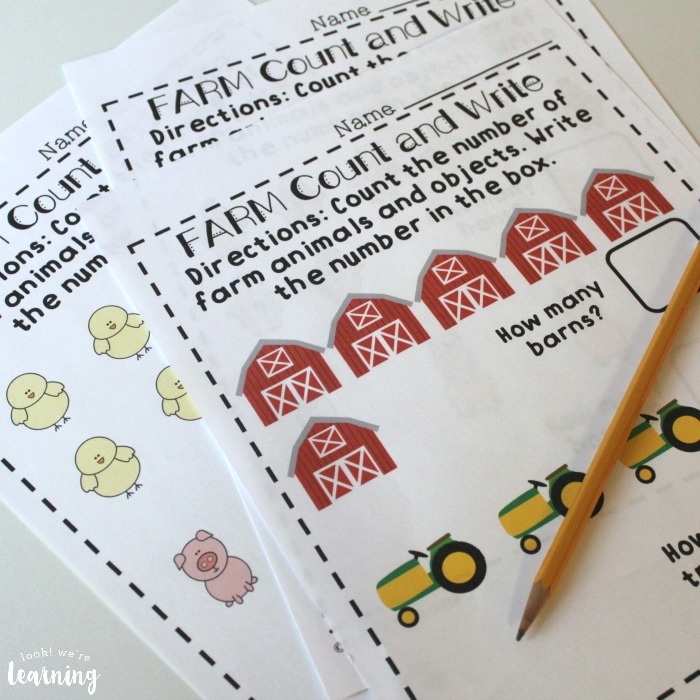 Scroll down to get your Farm-Themed Fall Counting Worksheets! Share more farm learning fun below! 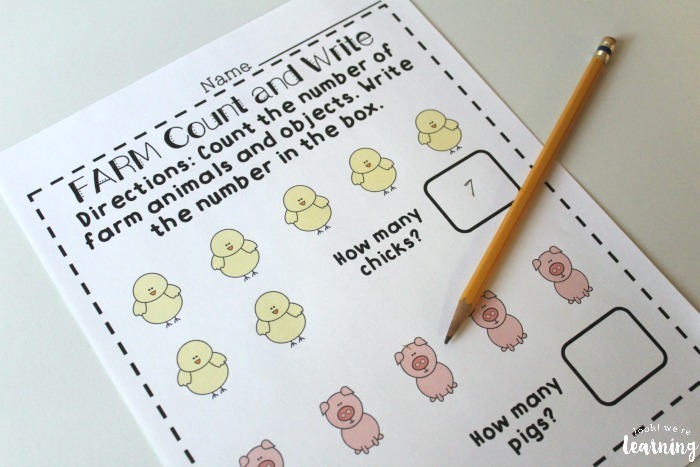 And see more ways to work on counting with young children on my Learning for Little Ones Pinterest board! 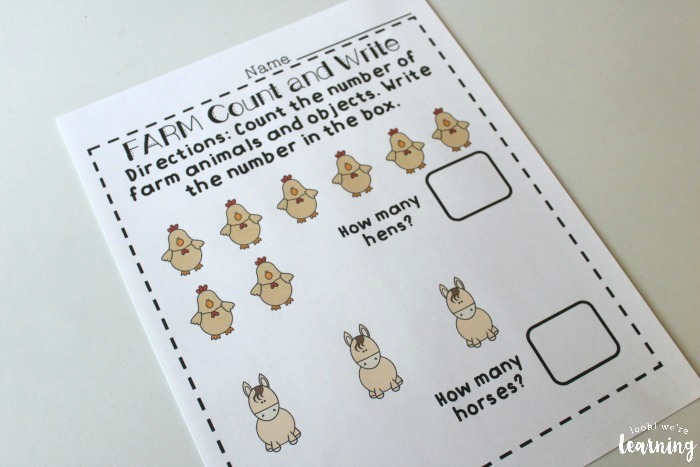 To get your set of our Farm-Themed Fall Counting Worksheets, click the image or the link below to visit our Store!